With your support, CAN Fund will continue to enable our athletes to compete on the world stage. If you and/or your organization, company, community group, social club, colleagues, team and family are interested in raising funds for CAN Fund so that our Canadian athletes can afford proper nutrition, coaching, equipment, travel to training camps and competitions, pay team fees and afford basic living expenses then we invite you to create your very own fundraising event to support CAN Fund. 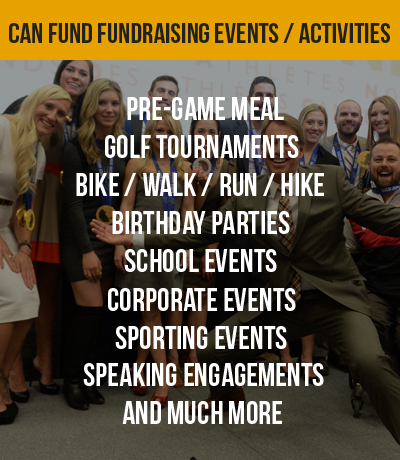 The funds raised through your event and on your online CAN Fund fundraising page will go to CAN Fund to be distributed to an athlete/athletes who have applied to CAN Fund for financial assistance. There are hundreds of athletes from coast to coast who apply twice a year for support and who are relying on CAN Fund and proud Canadians like you who believe in their world class dreams. 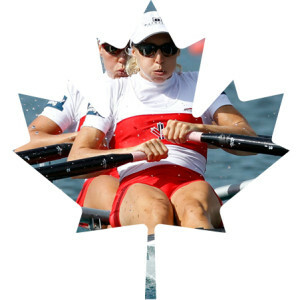 Directly impact the journey of a Canadian athlete and their ability to compete for Canada! Each donor automatically receives an email with the name of the athlete they have supported and a tax receipt. If you need assistance in setting up your event fundraising page, require more CAN Fund information to share with prospective donors or want to brainstorm creative event ideas to best help CAN Fund we are here to help!